Hello, my name is John Ames and I am the Manager of WCFN Studios, both Hivision Entertainment (video division), and New Dream Media (music & sound division). I began working with churches in 2012 video taping services using two Panasonic AG-AC7’s with me and another camera man, and editing in Sony Vegas Suite. My learning has been thru books and courses as I continue learning about cinematography and the art of video production. Lately I have been working on short projects and sermons to help reach the world for Christ. I added a two Panasonic HMC-80 cameras and a Roland VR-3 production switcher to my production tools, which gives me television style production capabilities. We have done music video’s, education classes, and a few theological sermons… I continue experimenting with my camera’s and lighting to produce interesting and dramatic video sequences that will enhance my efforts in video production. We are now involved with recording Christian artists and equipping them with promotional commercials using pictures, video and music to present a well rounded audio and video presentation. Marcus Ellis is WCFN’s Director of Public Relations & Artist Developement, Studio Musician and a Pastor of his own church . Marcus is also a fantastic musician who will be bringing artists and bands in to record their albums in our studio’s and will also be involved with playing many of the instruments used in the recordings. He is an accomplished and polished musician who can add a professional touch to the studio recordings. He has been playing in the music industry for years and WCFN is proud to have him and his talent on board. Artist Biography – Marcus was born as the youngest child of Charles and Alice Ellis. A heritage of music was in his upbringing. His father was a musician himself and encouraged Marcus to play the guitar. His mother had a family long history of song writing and singing. At the age of ten he would receive his first guitar. It was love at first sight. It would be a fundamental part of his life from then on. Family nights of singing and playing music was typical growing up in the Ellis home. Even the neighbors would come over and join in the singing. Marcus carried the love of music into many aspects of his life. One day while he was in school the teacher heard Marcus singing and ask him to share his song with the class. He said “I would love to do that just let me go home and get my guitar” Although Marcus did not sing that day, he did get to perform in the talent show at school a week later. He found he really enjoyed singing for his family, friends and anyone who would listen to him. It was a life changing experience for him. Marcus would go on to cultivate his talent by writing songs, experimenting with different types of music and techniques. His passion was to create music that would motivate those who heard it. At an early age he wrote his first song entitled, “I Need a Friend”. Inspired by events in his life Marcus continued to write and play music. His talent soon led him to learn to play the piano, many stringed instruments, and the drums. In 1985 Marcus made a record of his first and second song. The second song was titled Its Always Been a Dream. 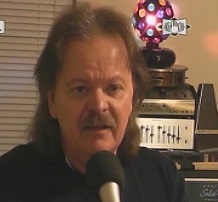 He has played in Little Nashville located in Brown County, Indiana opening up for such recording artist as Dan Seals, Becky Hobbs and Tobi Lee. Marcus had a radio program entitled “ Season of Harvest” He has done prison ministry and has reached out to many individuals with his music, making an impact on them with the faithfulness of his various ministries. Although Marcus had grown up going to church, he did not give his life to the Lord until he was in his late 20’s. This is when he found his calling and purpose for his God given musical talent. He found a way to glorify God in his music and to use his musical capabilities as a ministerial tool. His endeavors include evangelism, pastoring, song writing and ministering through music. In 2014 Marcus, along with his brother Charles, auditioned for America’s Got Talent. This led him to a couple of Interviews with the judges and staff of the program. Marcus debut gospel blues CD entitled “Been So Good” is a long-awaited project. Many of the songs were written by himself. He has also started writing songs for his next CD . Marcus has two daughters and has been married to his wife Sharon for 25 years. He is inspired by his family and relies on their support. His daughter Ashley has been a great encouragement to him by her talents and love for the Lord. Stephen Daniel is WCFN’s Director of Support Services and a talented musician. He will be working with video/photo equipment, sound equipment, engineering projects and working with clients who sign with WCFN Studios as recording artists, speakers, journalists, etc. WCFN is happy to have Steve with us as a much needed asset to the Studio’s team. Keep up the excellent piece of work, I read a few blog posts on this internet site and I believe that your web site is very interesting and holds sets of wonderful info. Hi family member! I wish to say that this post is amazing, nice written and includes important info. I would like to see more posts like this. My spouse and I absolutely love your blog and find most of your post’s to be just what I’m looking for. Does one offer guest writers to write content for you personally? I wouldn’t mind writing a post or elaborating on many of the subjects you write regarding here. Again, awesome blog!